Parrots For Adoption - Parrot Rescue Florida - M.A.R.S. As mention in the “About” section, the mission of M.A.R.S, our Florida based parrot rescue organization is a simple one. We are committed to finding loving homes for birds who are abandoned, neglected, have health issues, or are not wanted for a variety of other reasons. It is our highest priority to match the right individual or family to a exotic bird that will bring years of joy to both. We are a no-fault rescue, more on that to follow. The Melbourne Avian Rescue Sanctuary specializes in parrots. Parrots are the third most popular pets in the world. M.A.R.S. no-fault policy means that if your first choice of avian does not work out, you keep trying till you find the perfect avian companion for your situation. Please scroll down to view some of our adoptable birds on the Adopt-a-Pet link below. 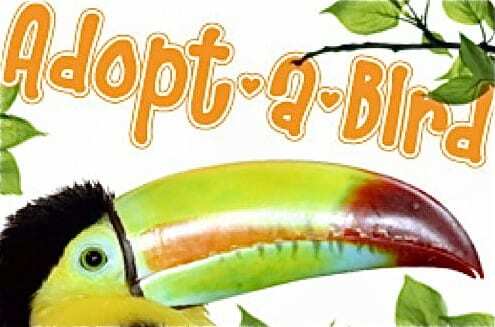 Also view our listings on PetFinder.com., and (Florida Parrot Rescue M.A.R.S. ), on Facebook. Availability changes often, and it is difficult to keep updated pictures of adoptable birds current, so check with us via our site contact form, direct e-mail,( marsparrots@aol.com), or one of the sites mentioned above. Adoption papers available on FORMS page. Macaws are extremely inquisitive, curious, affectionate, and playful animals. Often called winged rainbows, they are the most colorful members of the bird family – with powerful large beaks and long tails. Considered the largest birds among the parrots, these birds flaunt a unique blend of beauty, intelligence, and numerous engaging traits that make them a highly sought after pet. 4. Crackers and Big Blue, both Blue and Gold Macaws. Would like for them to stay together. $676.00 for the pair. Cockatoos are very lively and affectionate birds. They are quite cuddly and bond very closely with their owners. They are very social and playfull, and love the interactions humans can provide. Never forget most cockatoos have a two yearold mentality so teach them to play, and to be happy with the time you have to give them. Over all they are a total delight. Remember we are a no fault rescue, so if one cockatoo does not fit your situation, you can try others till we get the perfect match. Click on the link “View with PicLens” for an enlarged view of our beloved feathered friends. We have many other kinds of parrots for adoption. More pics coming soon. Stay tuned! If you’re interested in adopting one of our beautiful birds, check out the the forms section or contact us, or e-mail directly for questions. Additionally, don’t forget to have a look at our “Bird’s Talk” page to learn more about the fascinating life stories the M.A.R.S residents! Hi! Can I please know how can I adopt Lilly or Ricco or Romeo. When can I visit you? What would I need? I’ll wait for your answer!! Do you have an caiques for adoption? Thanks. Hello! My name is Benjamin. I’m looking to adopt an African grey parrot. Age doesn’t matter but older is preferred. I’ve had prior experience in rehabilitation in large and small birds. Thanks! Benjamin, please email marsparrots@aol.com for all adopt info it is a semi quick and easy process. We have a grey coming in this week so as soon as I know more about him or her I will be able to share all with you…. Do you have any Cockatiels please, ive just lost my 2. Hi! I am interested in a green cheeked conure and wondering if you have any of these guys? Thanks! Hey, do you have any birds for adoption? Yes we do but I have had zero help in loading the pics and bios on them here on the web page . Email marsparrots@aol.com and I will share the adoption procedure and then we can discuss more…. Karan Izzy got adopted but we have Angel and Heather here waiting for a loving home.. Please email marsparrots@aol.com for all adoption Info and we will continue from there .thank you!!! Email marsparrots@aol.com for all info please…..
Just saw this comment … So sorry we have a female named Heather older girl 26 ish I believe , she is a love of a love of a bird .. She needs someone to just be her best friend.. If still interested email marsparrots@aol.com for further info please. I am interested in adopting a double yellow headed parrot,please advise me if one should come along,I am a 73 year old retiree with plenty of time to devote to my new friend. Hi, I’m looking for an African grey, Amazon, Senegal or Eclectus to adopt. Hello! I’m looking at a few adoption sites for some birds when i stumbled across this one. I was wondering if you had any conures, cockatoos (galah or umbrella) or cockatiels available for adoption. I haven’t really had a bird before but my mum and dad did so they’ll help me when I need it as well as online forums. The age doesn’t really matter however I would really prefer if you had males available (mostly with the cockatiels). I am new to the adoption process, live with my parents and still attend school (17 yrs old) but I’ve been set on getting a bird for almost 3 years now and know I want one. The problem is figuring out which to get. I may not see the responses right away because of internet issues so it will be an asap thing. Thanks. Thanks Nancy all paperwork received more from MARS very soon…. I am looking for a B/G macaw. What if any do you have available?